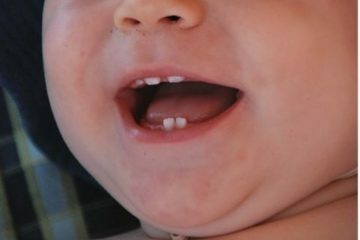 Parents are advised to begin oral health routines early on with children for the best long term results. In addition to bringing them to routine dental check-ups, it’s important to teach kids that brushing daily and keeping their teeth clean is beneficial for long term health. Showing them how to floss, brush and when to do it is a major first step. Most parents will choose a kid-friendly toothpaste to help protect kids and encourage them to complete the task. Once they’ve got the process down pact though, parents typically give their children the freedom to do this task alone in the mornings as they get ready for the day. New research released from the Centers for Disease Control (CDC) says the problem of children using too much toothpaste is risky and not something to overlook. Overconsumption of fluoride is the main concern. This leads to issues such as fluorosis and causes damage to the tooth’s enamel. 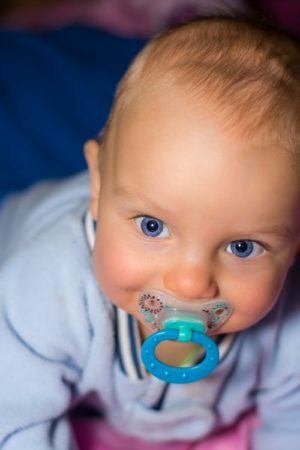 Swallowing fluoride has also been known to affect a child’s bone density. While the problem is also true for adults, the chances of accidentally swallowing toothpaste as they are brushing is less likely. Plus, adult bones are fully developed already so density is less of a concern. 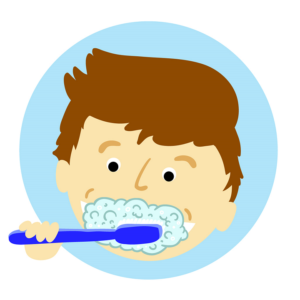 Most parents were found to be unsure about the right amount of toothpaste to use and when they should top supervising their children’s brushing routines. To help combat the risks, experts recommend showing children the correct amount of toothpaste to use as you’re teaching them how to brush and to monitor that factor when supervising them. According to the CDC report, most kids are using half to a full load of toothpaste on their toothbrushes when the recommendation is a pea-sized amount. More than that increases the previously mentioned risks. New recommendations in 2014 from the ADA reduced the amount of toothpaste used during the 2 recommended brushings per day. For kids 3 and younger a recommended smidge, small as a grain of rice is all that should be used. It’s also advised that parents monitor their children until about age 8 to ensure that they are not ingesting too much fluoride when they brush. 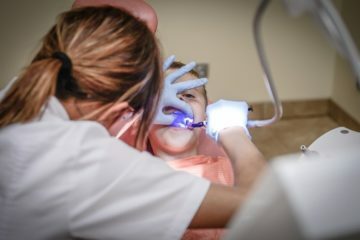 CT Pediatric Dentistry serves Connecticut families with kid-friendly services and is dedicated to helping kids feel comfortable sitting in the dentist’s chair from an early age. With three convenient locations in the state, we welcome children of all ages.